WWith warm weather all-year round, Durban welcomes you to a relaxed, outdoor lifestyle where beaches, barbecues, seafood and curry restaurants, clubs and upmarket accommodation establishments provide everything you could wish for while on holiday. Durban is South Africa’s self-styled “playground” where year-round warm weather welcomes everyone to make the most of the area’s natural outdoor lifestyle. Also known as “Surf City”, Durban is renowned for its magnificent bathing and surfing beaches, which stretch along the city's beachfront from Durban harbour in the south to the upmarket suburb of Umhlanga in the north. An expansive paved promenade offers access to the best of these beaches – the Golden Mile – where joggers, cyclists, dog owners, surfers, body boarders and walkers enjoy early-morning and late-afternoon exercise. DDurban's harbour is the busiest port in South Africa and is considered as one of the busiest in Africa. YYou can’t miss Durban’s striking Moses Mabhida Stadium, the host venue to top-notch sporting events, Segway tours, a city-viewing SkyCar and an impressive bungee swing. CCloser to the harbour, uShaka Marine World – a world-class water park, aquarium (with fish, dolphins, seals, penguins and other sea life) and restaurant complex – overlooks the ocean and offers hours of entertainment for your whole family. Culturally, Durban exhibits a mix of Indian, Zulu and post-colonial influences, reflected in the city’s architecture and cuisine. Curries, seafood and fusion food are popular at beachfront restaurants, Wilson’s Wharf, and at the gourmet hot spots and coffee shops that line Florida Road and Helen Joseph Road. The art deco-style Suncoast Hotel and Casino complex, flanking the promenade, houses seafood and curry restaurants, movie theatres, a casino and coffee shops – with secure on-site parking and semi-private beach access. Shopping is best enjoyed at Durban’s out-of-city malls: the Gateway Theatre of Shopping in Umhlanga; the Pavilion in Westville; and the Galleria in Amanzimtoti. An overwhelming choice of shops in air-conditioned comfort makes spending money a most enjoyable pursuit. HHalf an hour inland from the city, the Valley of a Thousand Hills promises a taste of African culture, while further into the countryside, the Midlands Meander features about 150 art-and-craft outlets for city-dwellers in search of fresh air and homemade fare. Adventure activities are well catered for in and around this coastal city, with deep-sea fishing charters, dolphin viewing, jet-skiing, shark-cage diving, quad biking, scuba diving, hiking, mountain biking, canoeing, boat cruises and much more readily available. 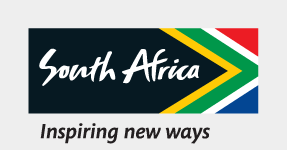 Durban is the centre of world-class sports and hosts major international events. It is a shopper’s paradise with entertainment and hospitality establishments, offering a wide range of accommodation from beachfront hotels to themed lodges, guesthouses, self-catering apartments and homely B&Bs. We suggest you make this your next holiday destination. The KwaZulu-Natal Sharks Board Maritime Centre of Excellence has protected the province’s bathing beaches from shark attacks for over 50 years. If you want to learn about the magical world of the deep sea and explore the abundance of the Ocean, then you should visit uShaka Marine World at Durban's Addington Beach, near the Durban harbour. They don’t call Durban “South Africa’s Playground” for nothing. It is South Africa’s very own seaside paradise, famous for its beaches and the warm Indian Ocean.